Third place winner of the Premio Planeta Book Award (2010). In Más allá de la justicia (Beyond Justice), Melanie is a detective at the Seattle public defenders’ office. Her job is to investigate crimes allegedly perpetrated by the people whom the agency represents. She is an attractive, savvy, and very angry woman. Her husband recently abandoned her, and she must now do her best to support her daughters alone. Sofia, a newly hired Mexican attorney, is also trying to cope with her own defiant teenage sons, as well as with the responsibilities of her new job. When the pair is teamed up, conflict arises, and it is Rhonda, the office’s affable African American secretary, who keeps the peace, expertly navigating their differences with her natural humour and tolerance. The story, told in the first-person narratives of the three characters, transports the reader into the harsh world of litigation and into the complex and tormented lives of the accused: psychopaths, gangsters, prostitutes, and drug addicts. Más allá de la justicia provides an intimate, inside perspective of the criminal justice system in the U.S.A..
Los hijos del mar (I Leave You the Sea), is a beautiful love story set in late nineteenth-century Mexico and in Spain. The novel is based on the lives of the Victorias, who made a name for themselves in Mexico's pharmaceutical industry, and the Muguiras, Spanish immigrants who found success cultivating and trading coffee beans. 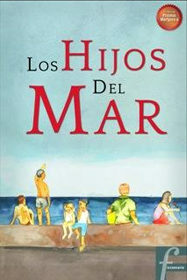 The intertwined tales of Los hijos del mar become, finally, the story of a child who weaves both families' sagas into a shared destiny. Through the love affair of Licho Victoria and Pilar Muguira, the book reveals the social tensions still prevalent in Mexico between the conquered and the subjugated. The book is a must read historical novel.